Suriya seems to be pushing the envelope where his scripts and roles are concerned. 24 (releasing today) has the actor sporting three avatars, one of them negative. A sci-fi thriller based on the time-travel concept and directed by Vikram Kumar, it has Samantha and Nithya Menen sharing frames. 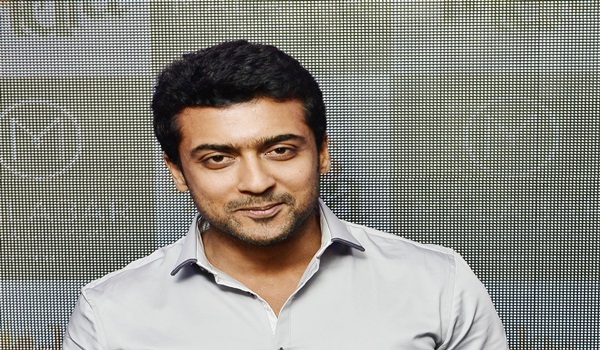 Says Suriya, a�?Ita��s an Indianised Disney kind of film in its entertainment quotient. It has a fresh content and will have no shades of any other film.a�? A product of Balu Mahendraa��s Cinema Pattarai, Venkatesh Kumar has directed documentaries, shorts and participated in International Film Fests. And now Kumar ventures into his first feature, Unakkul Naan. Ita��s about a motherless lonely boy. And of how he learns the lessons of life, through films that his father, a projectionist, screens at a local theater. Ask Kumar about its release and he says candidly, a�?Ita��s totally experimental, so ita��s tough getting theaters. Ia��ve approached many, but there seems to be a lack of interest.a�? Pokkiri Mannan wasna��t exactly a dream debut as hero for dance choreographer Sridhar. For the film, trolled both by critics and audience, had sunk without a trace. A year later Sridhar returns in his new avatar as a director, playing the hero too. The film centres on street bike racing and its unfortunate consequences. One hopes hea��s lucky the second time round. Incidentally, the filma��s tagline reads: Suffering Street Race!